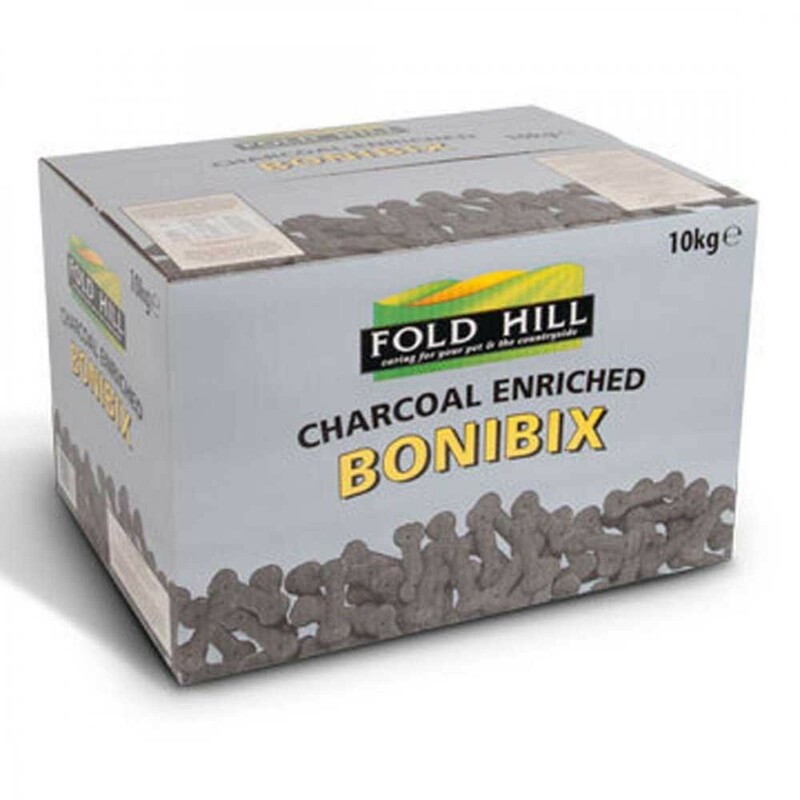 Fold Hill Bonibix Charcoal Bones are milled wheat dog treats which have been baked to perfection. They are enriched with charcoal which is great for digestion and are free from artificial colours and flavours. Cereals, Oils and fats, Minerals (includes 3% milled charcoal), Meat and Animal Derivatives. Colourants; Nutritional Additives (kg): Vitamin A 5000iu, Vitamin D3 500iu, Vitamin E 30mg, Ferrous Sulphate Monohydrate 66.6mg, Zinc sulphate monohydrate 57mg, Copper Sulphate Pentahydrate 20mg, Manganese oxide 4.83mg, Sodium Selenite 1.11mg, Calcium Iodate Anhydrous 0.79mg. There are currently no questions for Fold Hill Bonibix Charcoal Bones Dog Treats - be the first to ask one!